Look at my new christmas tree toys. The center of these toys was stitched on linen by DMC 115 threads. The charts are from magazines The Cross Stitcher and Point de croix. 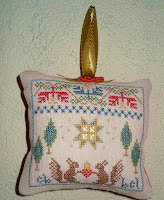 I've been busy stitching things for exchanges & knitting for felted handbags - but I finally stitched an ornament!! 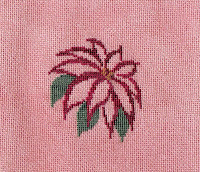 "Joy" is from the 2007 JCS ornament issue. 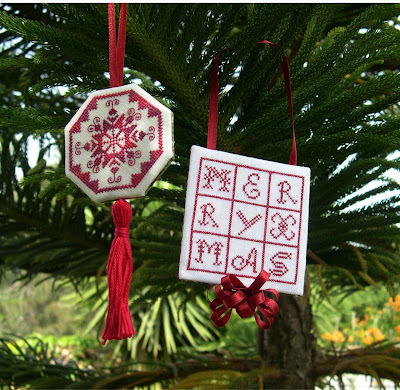 These are the ornaments that I am doing for gifts this year. 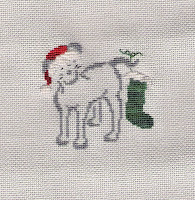 The first two are by Brittercup Designs (Poinsettia and Christmas Puppy) from the 2007 and 2006 Just Cross Stitch Ornament Issues. 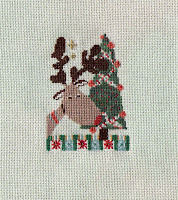 The third is Curious Reindeer from the 2007 BH&G Christmas Book. I changed most of the threads and stitched them all over one. The fabrics are a Silkweaver Solo, China Pearl Jobelan, and SMF Leprechaun. Welcome to my Mill Hill's Treasure Box! 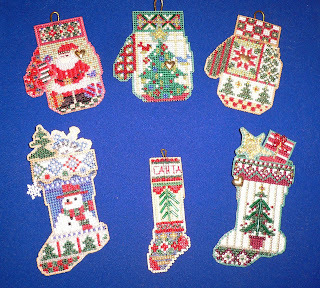 There are the beaded and charmed mittens and stockings. 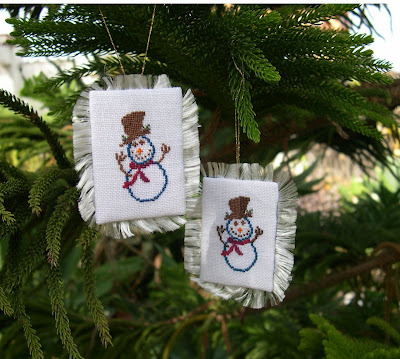 I have been stitching ornaments, and even finishing them, but then I hide them away till it's time to send them to their new owners. So, I keep forgetting to include them here. Oops. Yes I'm thick, I did one last month and never included it because I'd 'forgotten' all about it! 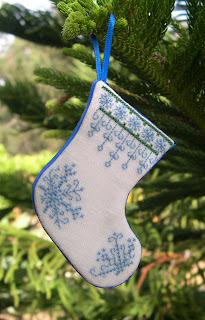 Glory Bee's Noel, stitched on 14ct opalescent, using The Dye Shop Frosty's Scarf.